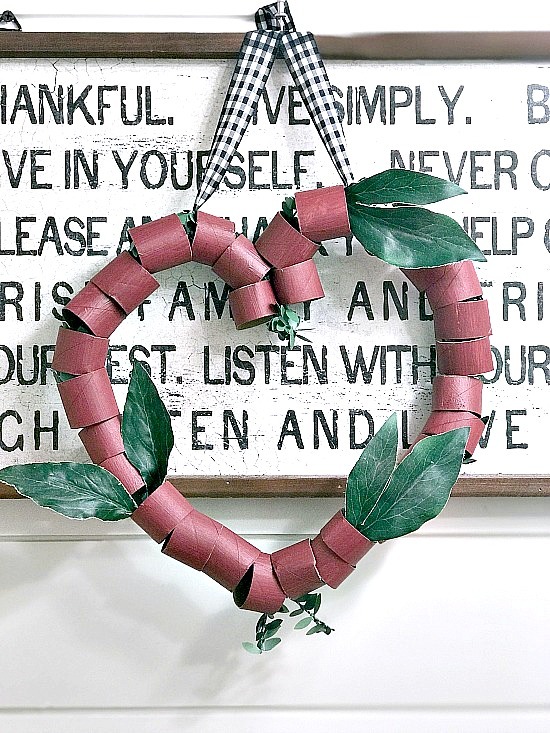 When I saw a wreath similar to this one made with all recycled materials I fell in love! 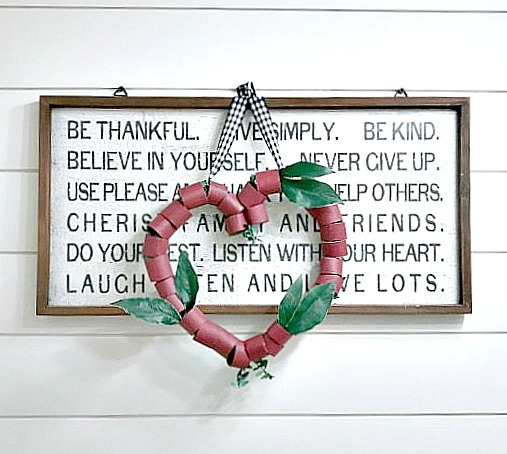 Mary from The Boondocks Blog made the original gorgeous wreath and I told her I just had to have one. I'm sending you over to her for the directions for this wreath. You've just got to see how pretty her wreath turned out and to top it off it's about 3 feet tall! I made my wreath by following Mary's directions only I added faux boxwood wire and a few leaves to mine. It couldn't be easier to make and it's a great way to get the kids involved in recycling and repurposing. 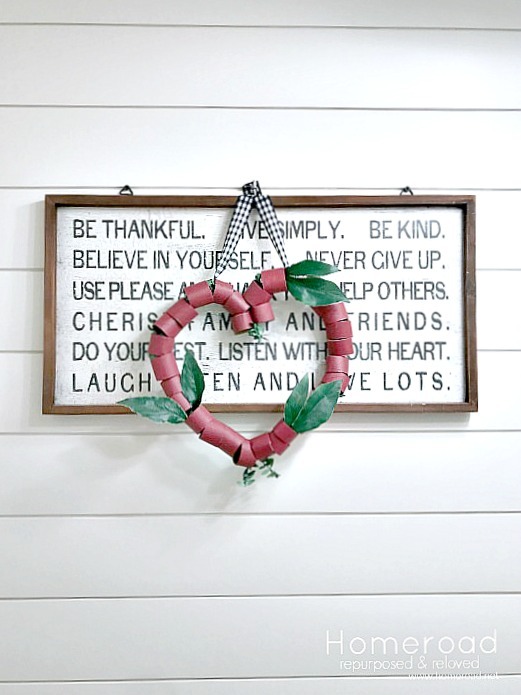 So hop on over to The Boondocks Blog for all the directions and helpful hints to make this beautiful Valentine's Day wreath for almost FREE! tea towel I made for Valentine's Day. project straight to your inbox, please sign up below.